If a loved one has died due to the wrongful act or neglect of another, contact a San Diego wrongful death attorney at the Liljegren Law Group today for a free legal consultation. Our personal injury lawyers have years of experience representing families in wrongful death cases San Diego and across California. Unfortunately, time is of the essence in these devastating cases and it is important to contact a legal team as soon as possible. Preserving evidence and identifying defendants are key factors in California wrongful death cases. Plus, California law mandates a claim must be filed within two years if the descendent’s death- known as the statue of limitations. Contact the Liljegren Law Group today at (619) 312-6703 for a free legal consultation. Our San Diego personal attorneys have years of experience and success in wrongful death cases. If chosen to represent your loved one in a wrongful death case our injury attorneys will investigate all circumstances surrounding the accident and preserve any and all evidence. The Liljegren Law Group will fight aggressively to help you obtain the compensation you are entitled to. A wrongful death occurs when a person is killed due to negligence or misconduct of another individual, company or entity. In San Diego, this can be a result of a car accident, burn injury, or any other serious accident. 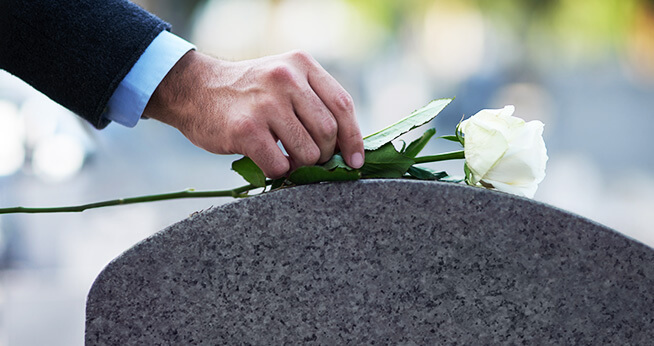 An action for wrongful death belongs to the decedent’s immediate family members, often called “distributees.” The most common “distributees” are surviving spouses and children. A wrongful death claim can result from virtually any situation that would normally result in a personal injury claim if the victim had survived. Ultimately, every wrongful death claim revolves around an act of negligence or breach of duty of care. Some individuals, including doctors, police officers, and property owners have higher duties of care than others due to the nature of their professional work. If you have questions concerning a recent death of a loved one, speak with an experienced wrongful death attorney with a strong track record of successful cases. Your attorney should be able to advise you whether your claim merits a wrongful death lawsuit. In some cases, such as a wrongful death due to medical malpractice, your attorney will need to contact expert witnesses who can provide affidavits of merit that support your claim before you can proceed with legal action. This can include intentional behavior, recklessness, carelessness, intentional tort, and an action taken without regard for the safety of others nearby. This is a broad term that can apply to many possible situations, and the definition of “duty of care” will vary based on the situation. Many places of employment such as construction sites, factories, refineries, and assembly facilities pose inherent risks to employees. When these risks cause worker fatalities, the surviving family members may have multiple legal options, including workers’ compensation benefits and wrongful death claims. Private businesses as well as publicly-operated facilities and establishments must abide by various safety codes to prevent injuries to visitors, customers, and the public. When an establishment cuts corners and violates safety codes, any resulting fatalities would leave it liable for wrongful death claims from the victims’ families. Law enforcement officers have dangerous jobs and must discharge their duties in good faith and in accordance with their training and the law. When police use excessive force and fatally injure a suspect or detainee, the victim’s family may pursue a wrongful death claim. It’s vital for anyone in such a situation to remember that the victim’s behavior in relation to the fatal injury may limit the family’s options for legal action. Doctors and other medical professionals must meet an acceptable standard of care when treating any patient, and the medical community generally reaches consensus concerning acceptable methods of treating known medical issues. When a medical professional harms a patient due to a preventable error, negligence, or using unapproved treatments without justification, that professional is liable for the resulting damages. Surgical errors, prescription medication errors, anesthesia errors, and medical negligence may all lead to wrongful death claims. 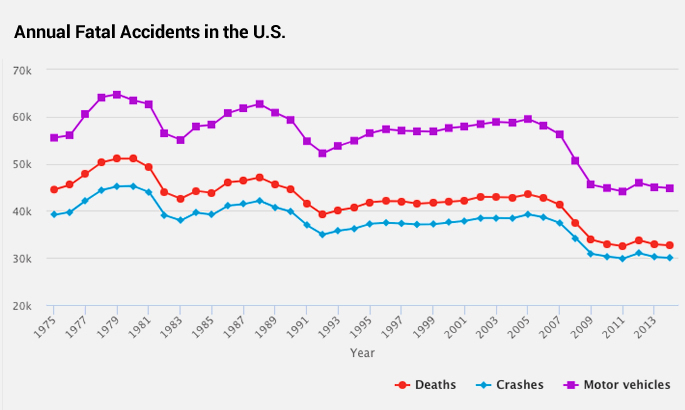 Car accidents & truck accidents cause millions of injuries and many fatalities every year. When vehicle accident fatalities result from unsafe driving, aggressive driving, speeding, or driving under the influence, victims’ families will likely pursue civil actions against the at-fault driver. The negligent party may also face criminal prosecution from the state, depending on the nature of the behavior that led to the crash. Speak to a truck accident lawyer or car accident attorney to see your options. Property owners have an obligation to prevent injuries to lawful visitors to their properties. If a hazard exists, the property owner must address it in a timely manner so that it does not cause injuries. Failure to clear snow and ice, broken lights, defunct stairs, or broken elevators may all lead to wrongful death claims under premises liability law. Product manufacturers must ensure their products meet all applicable regulations and pose no danger to consumers through regular use. When a manufacturer releases a dangerous and defective product, anyone affected may seek damages through product liability claims, including cases in which defective products cause fatal injuries. The victim’s surviving spouse, children, dependent stepchildren, dependent minors living in the victims household for at least six months, and dependent parents. If there are no heirs as described above, then claimants include those who would be entitled to inherit the victim’s estate under the law of intestate succession. If none of these relatives exist, the next of kin may file a wrongful death suit. A wrongful death victims personal representative who was appointed by the probate court can also maintain a wrongful death action. What’s the Average Wrongful Death Settlement in California? When a person dies due to another party’s negligence, the victim’s surviving family can pursue damages through wrongful death claims. Similar to personal injury lawsuits, plaintiffs in wrongful death claims must prove that the defendant’s negligence caused the victim’s death and show the court the extent of the family’s losses due to the death. Our San Diego wrongful death lawyers have decades of experience handling such cases and can help you fight for maximum compensation. Plaintiffs can recover various types of compensation through wrongful death claims, but it’s vital to consider how wrongful death settlements work in California. The state has laws in place affecting how plaintiffs may file wrongful death claims, and who may be eligible to file such claims. While some states place limits or “caps” on the amount of compensation plaintiffs in wrongful death claims may earn, California does not. The law simply states that the claim must be “reasonable under the circumstances.” The court considers various factors in determining compensation amounts for wrongful death plaintiffs, including the age of the plaintiffs and the decedent’s age, earnings, and relationship to the plaintiffs. In California, a deceased person’s spouse, domestic partner, or child may file a wrongful death claim. If no such kin exists, the deceased’s parents, stepchildren, siblings, or anyone else who was financially dependent on the decedent may file a claim instead. State law also indicates that anyone with a claim on the deceased’s estate, or who would be entitled to the deceased’s property through intestate succession may file a wrongful death claim. Plaintiffs’ compensation in wrongful death claims hinges on the deceased’s income and the impact of the death on the family. For example, the death of a 30 year old doctor with his or her entire life ahead would likely lead to a more substantial settlement than a wrongful death claim for an elderly retiree on a fixed income. The court takes the age of the decedent into account, and the family pursuing the claim can secure compensation for the victim’s future earnings and financial security he or she provided to the family. Funeral and burial expenses. The decedent’s will or estate will likely contain his or her wishes concerning funeral and burial, and the court will award compensation for these expenses as long as they are reasonable. Medical expenses. The plaintiffs in a wrongful death claim can sue for the cost of their lost loved one’s medical care during his or her final illness or injury. Pain and suffering. If the victim’s final illness or injury caused severe pain or other forms of distress, the claimants can secure compensation for the deceased’s suffering as well their own loss of love, affection, comfort, guidance, and household support provided by the victim. Lost income. The family can sue for the decedent’s lost wages during his or her final illness or injury as well as future earnings the deceased would have reasonably expected to earn in the future. Depending on the victim’s profession, this can be a substantial award. Wrongful death claimants must file their claims within two years of the date of a loved one’s death to meet California’s statute of limitations. While no amount of money can replace a lost loved one, wrongful death claims help families manage their financial worries after the unexpected death of a loved one. Scott Liljegren, San Diego wrongful death lawyer, has helped families recover millions of dollars after fatal injuries. He will patiently explain the complex wrongful death laws and make sure you are comfortable with every legal decision throughout the process. Call today to see if your family can fight back with a wrongful death lawsuit in California.